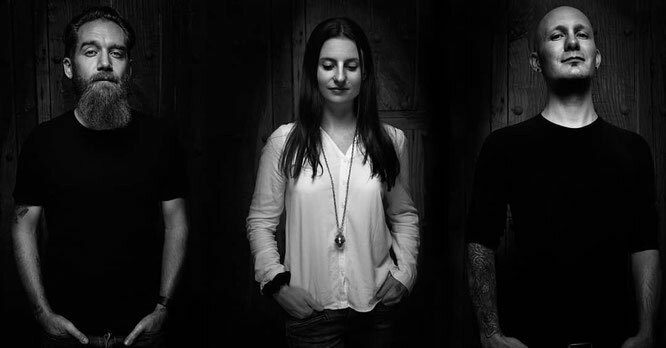 After the split from Swiss folk metal masters Eluveitie in 2016, Anna Murphy, Merlin Sutter, and Ivo Henzi pursued their own path on the metal scene and crafted their brilliant debut album “This is the Sound” (2017). Now the creative trio is back with the concept album “The Spell” that weaves a dark fairytale of love, death, and immortal life, told through heavy yet intricate progressive folk rock, enchanting visual art and utterly immersive storytelling. So, it is a step above or a step below their debut? Honestly, it’s like tree steps above. Where “This is the Sound” felt a bit experimental and alternative, with some indie vibes thrown in for good measure, “The Spell” sees Cellar Darling as a mature band, cementing their sound and following a more cohesive direction. And this is a clear sign of the band’s evolution and musical growth. You hear the same familiar sound but you don’t hear the same song structures as on the previous album. It’s quite refreshing when bands can achieve such a feat and not get caught in a patter, repeating themselves, but instead delivering a second album that is better than the debut. Mixing darkness and light, “The Spell” soars with melody, which combines superbly with heavy passages and progressive flourishes, folky interludes and classical elements, as well as their use of hurdy gurdy and flute, thus creating an alluring backdrop for the story. 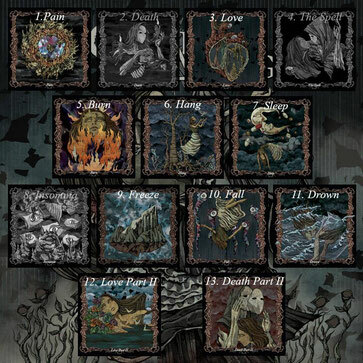 According to their bio, this concept album is based on the narrative of Death and the Maiden, telling “the tale of an unnamed girl who is birthed into a world that is full of pain, damaged and debilitated by the human beings that inhabit it. We follow her as she searches for meaning in life, when suddenly she meets and falls in love with Death – concluding with an ambiguous ending that leaves the listener wondering”. As such, the quote at the beginning of this review is not randomly chosen, as I feel those lines sum up the album perfectly. The listener follows the heartbreak the unnamed girl has to endure in the name of love, and all the paths she has taken in order to come face to face with her true love – the Grim Reaper himself. It’s a really gloomy tale and listening to the audiobook (yes, there is an audiobook accompanying this release) you get a sense of her desperation and unfulfillment with this life. I mean, take love out of the equation and what do you have left? Reason why, to me, this album feels like the steps one takes to recover from a broken heart. I mean, this is what I get out of it. But it can be interpreted on many different levels and in many other different ways as themes like mortality, happiness, depression, and love are universal human experiences, and we each filter them accordingly. On to the music now. Though pretty straightforward and quite complex in its simplicity, “The Spell” is very layered and detailed in terms of storytelling and general flow and mood of the songs. You don’t need a big wall of sound to create an emotional experience, and this is what I love the most about this album in particular. 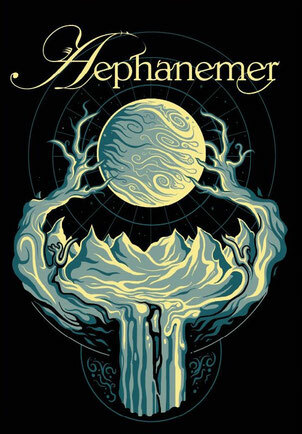 Atmosphere is essential for the listener to engage with this story, and the music delivers big time in this sense as it’s a very cinematic and proggy album. The centerpiece is undoubtedly Anna Murphy’s bright and melodic voice, which guides the listeners through a roller-coaster of emotions, from the dark somber tones in “Pain”, “Death”, or “Burn”, to the emotionally charged delivery in “Insomnia”, “Love” or “Drown”, to the vocal glides in the title track “The Spell” and “Freeze”, she’s not holding back, but instead showcasing her versatility and range. The occasional use piano or flute also add extra layers of harmony to the main melody, enhancing the intense and dramatic overall atmosphere, and I have particularly enjoyed the flute interlude in “Death”, the soft acoustic guitar lines in “Hang”, or the gentle piano lines in “Sleep” and “Insomnia”. The hurdy gurdy, guitars and drums make sure the album still has a metal edge to it, as the more aggressive numbers like “Pain” or “Freeze” clearly prove it. The music twists and turns beautifully between heavy passages and mellow moments, from the lullaby feel of “Sleep”, to the earthly tones of the hurdy gurdy in “Drown” and “Love part II”, to the dark guitar melody in “Pain”, to the uplifting feel of “Love” to the funeral vibe of “Death part II”, and all of these various elements and sounds make for a really riveting sonic experience. 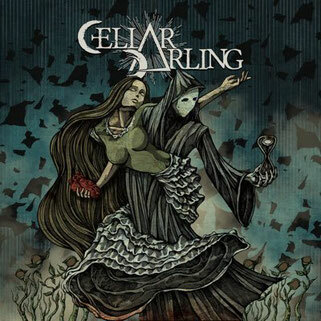 Cellar Darling are truly a breath of fresh air on the metal scene, and have managed to cast a real spell upon the listeners with such a well-crafted, hunting, and deeply emotional album, that tugs at the heartstrings. “The Spell” may quite possibly be my favorite concept album to date, as it plays on my love and fascination for such mysterious, mystic, and esoteric motifs and notions. Cue HIM’s “When Love and Death Embrace” now, or better yet, the atmospheric version that Ville Valo is currently playing with Agents, as this song fits in like a glove as an epilogue to the narrative of “The Spell”. Definite contender for Album of the Year, alongside Soen’s “Lotus”.